Sign up here for our monthly newsletter called The Voter. It features voter news, information, and events happening throughout Washington State. There are plenty of interesting articles in our back issues of the voter. 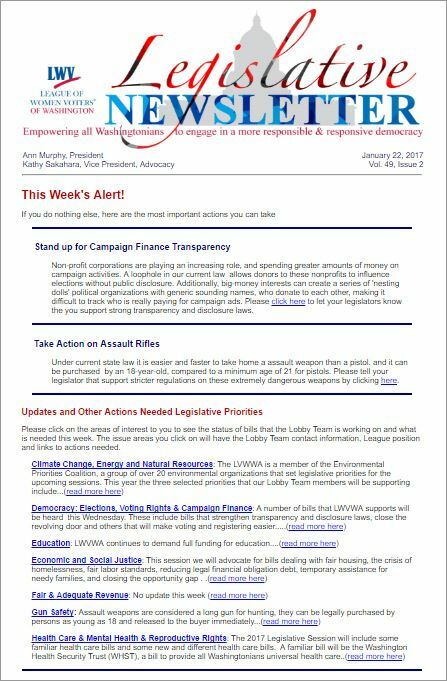 Sign up here for our Legislative Newsletter, a weekly update on key issues in the legislature, including Action Alerts for upcoming votes and information on current activity on major bills. 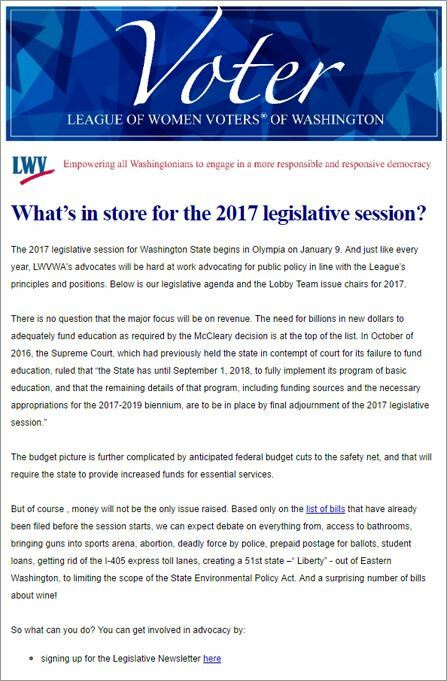 Newsletters come out every Sunday during the Legislative Session. Action alerts are issued as needed. Members receive This Week In League, a round-up of news related to League management, events, and other goings-on. If you are a member and have not been receiving This Week In League, sign up here. Still having issues? Email the Washington State office for help.